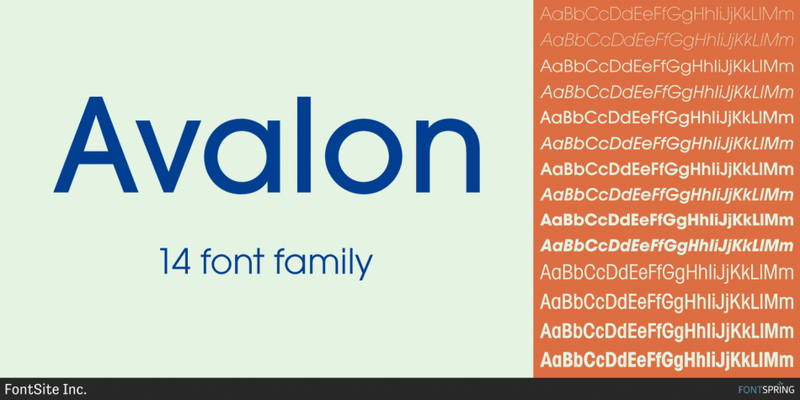 Avalon is a sans serif typeface family published by FontSite Inc which comes in 7 weights with accompanying italics, some useful OpenType features and extensive Latin language support. Enjoy Avalon! Price: starting from $19 for one font to $99 for all 14 fonts. 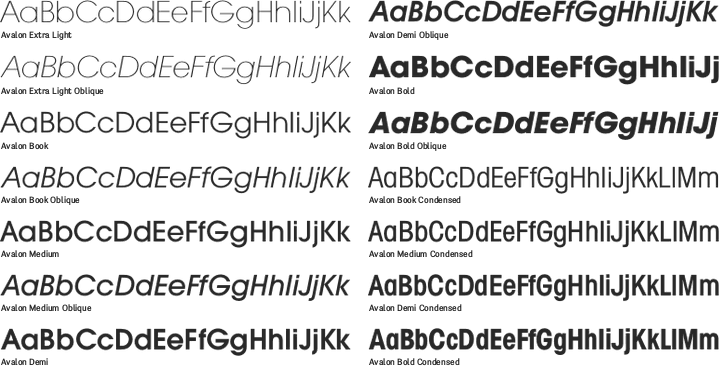 A font description published on Monday, October 3rd, 2016 in Fonts, FontSite Inc. by Alexandra that has 2,800 views.